Calverton Finance is one of the UK’s leading independent Invoice Finance providers. Founded in 1998, they have spent the past 20 years helping SMEs and established businesses achieve goals including stable growth, business expansion, restructuring, and acquisitions. Calverton offers flexible specialist solutions for a wide range of industries such as recruitment agencies, wholesalers, and manufacturers. They intend to provide you with not only the right solution, but also the best service by publishing direct contact details of the entire Calverton Finance team. Their head office is located in Milton Keynes, Buckinghamshire, and they offer their Invoice Finance services to businesses throughout the UK. 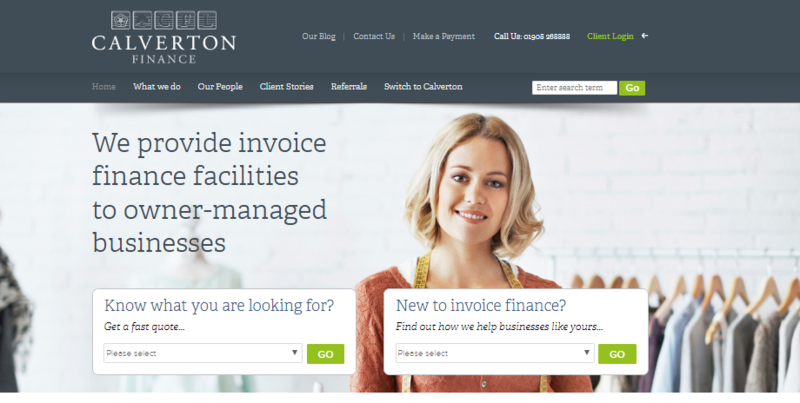 So, let’s get rolling with our review of Calverton Finance. Should You Use Calverton Invoice Factoring? Between 2016 and 2017, Calverton reported a £4.1 million annual turnover, with total assets worth £3.5 million. Though they’re relatively smaller than other Invoice Finance providers, Calverton’s advantage is they are able to give you more personable and accessible service compared to larger companies. Calverton offers many types of Invoice Factoring solutions. Therefore, the fees you face depends on factors such as funding needs, contract length, and business size. For most Invoice Factoring services, you can expect to face a minimum of two different charges: a service fee and a discount fee. Invoice Factoring service fees are normally 0.25%-3% of your annual turnover, and is a charge for using Calverton’s Invoice Factoring facility. The discount fee is an interest rate on Calverton’s initial cash advance to you, and its frequency depends on your provider and contract. Calverton also offers Selective Invoice Finance, where you can raise cash against outstanding invoices on an invoice-to-invoice basis. You’ll only be charged a single fixed fee, which is a percentage of your invoice value, as well as an administrative charge. No other fees! Calverton has Invoice Finance solutions that cover a wide range of industries such as Advertising, Printing, Manufacturing, Transport, Engineering, and Recruitment. Their tailored products can provide you with working capital for refinancing, restructuring, and growth. Calverton also offers industry-specific products such as Recruitment Finance and Payroll Finance. Their specialist solutions arise from 20 years of experience in Invoice Finance, which has allowed Calverton to understand the needs of different sectors. Calverton Invoice Factoring is an effective financing solution that allows you immediate access to vital working capital. Calverton buys your slow-paying invoices, advances you up to 90% of your invoice value, and handles your collections from customers. Calverton also credit checks your customers and assists you with credit control, in order to lower the risk of your customers not settling their invoices. As your business grows, your available funding also increases to support your larger working capital needs. You’re eligible for Calverton Invoice Factoring if your business turnover is between £250,000 and £5 million. Bad debt protection is also offered with their solutions, which we will cover later. Confidential Invoice Discounting is similar to Factoring in that Calverton advances you up to 90% invoice value within 24 hours. But, you remain in control of your collections and credit management. Your customers won’t know of your relationship with Calverton, and pays their invoice to a trust account in your name, where the funds are then transferred to Calverton. Once Calverton receives your customer’s invoice payment, you’ll receive the final 10% of your invoice value, minus fees. Selective Invoice Finance is a simple, flexible solution that allows you to raise funds from cash tied-up in outstanding invoices, on an invoice-to-invoice basis. You get to select which invoices you want to receive up to 90% cash advances from, submit them to Calverton, and then immediately receive the first installment. This service is there whenever you need it, which works great if your business is seasonal or has fluctuating cash flow requirements. There are no long-term contracts, and you are only charged a single fixed fee and an administrative fee. Recruitment Finance is an industry-specific funding solution for recruitment agencies. Calverton funds your invoices so that you are able to pay your workers or contractors on time, without having to wait for slow-paying invoices. 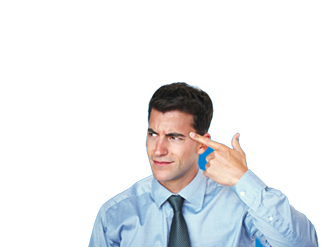 You have the option between Recruitment Factoring or Recruitment Invoice Discounting. Their difference lies in that Recruitment Invoice Discounting is completely confidential to your customers. Additionally, Calverton provides assistance from Recruitment experts who can help you run your business more effectively, or advise on cash flow issues. Payroll Finance supports early-stage and growing recruitment agencies that don’t have the resources or time to effectively manage payroll and contractor payments. Calverton’s online platform PayFactory provides a wide coverage of back-office services such as payroll, invoicing, collections, and invoice finance, so that you have more time to focus on running your business. What’s more, Calverton will provide you with management reports that allow you to reflect on your business operations and quality control. You also receive assistance from Calverton’s partner, The Employment Agents Movement (TEAM), the UK’s largest network of independent recruiters. Calverton’s Payroll Finance solution essentially enables you to focus on your recruitment business, while Calverton takes care of the administrative duties. Calverton offers Bad Debt Protection for their products and services. Bad Debt Protection allows you to protect up to 90% of your net invoice (excluding VAT), and you can choose which customers to protect. This means that you are able to use the funds provided by Calverton worry-free, since most of your finances will be protected through Bad Debt Protection. Calverton will even recover the debt from insurers on your behalf. Calverton are a relatively small Invoice Finance provider, which means that they are able to provide you with more personal service. In fact, their website lists the contact details of their entire team, from Directors to Client Managers and Sales staff, in order to ensure that they remain accessible to you. Customer Support is available through telephone and email during regular business hours. Calverton offers many types of contracts, the length and terms of which will depend on your funding and business needs. The most important thing is that you to have access to the necessary working capital. If you choose to use their Selective Invoice Finance solution, then you won’t have any contractual commitments since you’re using their facility on an invoice-to-invoice basis. You can try out Calverton’s Invoice Factoring in a 3-month trial by contacting their customer service. Calverton has been in business for 20 years, and has stacked up a great reputation as a reliable, smaller Invoice Finance provider in the UK. In fact, 98% of their clients report being extremely satisfied with their experiences, and chose to spend an average of 4 years with Calverton. Typically, Invoice Finance customers only stay with their provider for 18 months. Calverton also has an extensive list of positive client testimonials that praise their transparent costs, straightforward service, and flexibility. These businesses have all had negative experiences with previous Invoice Finance providers, but with Calverton they were met with great support, an easy-to-use online system, and a simple set-up process. On Google, Calverton currently only has 3 reviews: two 5-star ratings and one 1-star rating that complains about unprofessional service, where they felt that Calverton was chasing payments from customers too soon. Calverton is an independent Invoice Finance provider that compares well to other independent companies such as IGF, Bibby Financial Services, Skipton Business Finance, and Touch Financial. They all have similar funding capabilities and offer full Invoice Finance services. Unlike its competitors, Calverton offers a 3 month trial for you to experience its services and decide whether you want to stay on as a client. Calverton has a higher annual turnover limit at £250,000 to £5 million, which is actually the typical turnovers for small-to-medium sized businesses in the UK, making Calverton a truly SME-friendly provider. Calverton is a smaller, ‘boutique’ Invoice Finance provider that provides sector-specific support for certain industries such as recruitment agencies, wholesalers, and manufacturers. If you’re a new or growing business that doesn’t have the time or resources to effectively run your back-office administration, then you’ll be able to benefit from Calverton’s assistance. Calverton instantly unlocks up to 90% of the funds in your outstanding invoices, which frees up cash for you to cover daily expenses and focus on business growth. Their Invoice Finance products can also help new businesses achieve stability, as well as larger businesses carry out restructuring, acquisitions, and buyouts. Calverton are an independent, SME-friendly Invoice Finance provider based in Milton Keynes, Buckinghamshire. They provide specialist solutions in Invoice Factoring and Invoice Discounting that allow you to access necessary funds in order to meet your working capital requirements, and expand your business. Calverton’s clients praise their straightforward service, excellent support, and flexible solutions that include generous trial periods. All in all, Calverton are Invoice Finance experts who can help you achieve your business goals by unlocking the value of slow-paying invoices. 20 years of experience has given Calverton a better understanding of the obstacles facing SMEs in the UK, and what they can do to help you overcome these challenges.